What's for dinner? 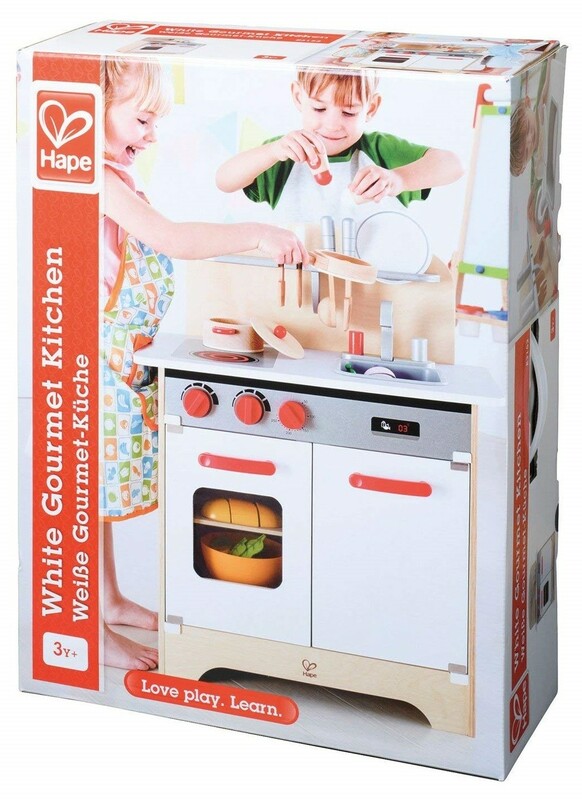 The Playfully Delicious Gourmet Kitchen from Hape will help kids cook a variety of dishes with just a little imagination! 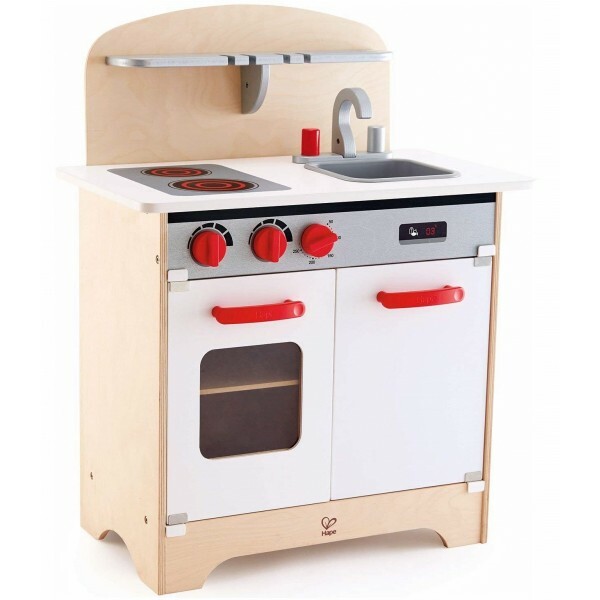 Perfect for every little chef and baker, this kitchen features an oven, stovetop, sink, red knobs to turn the burners on and off, and a shelf to hold cooking utensils and ingredients. Add some play food and there's no end to the kitchen fun she can have! 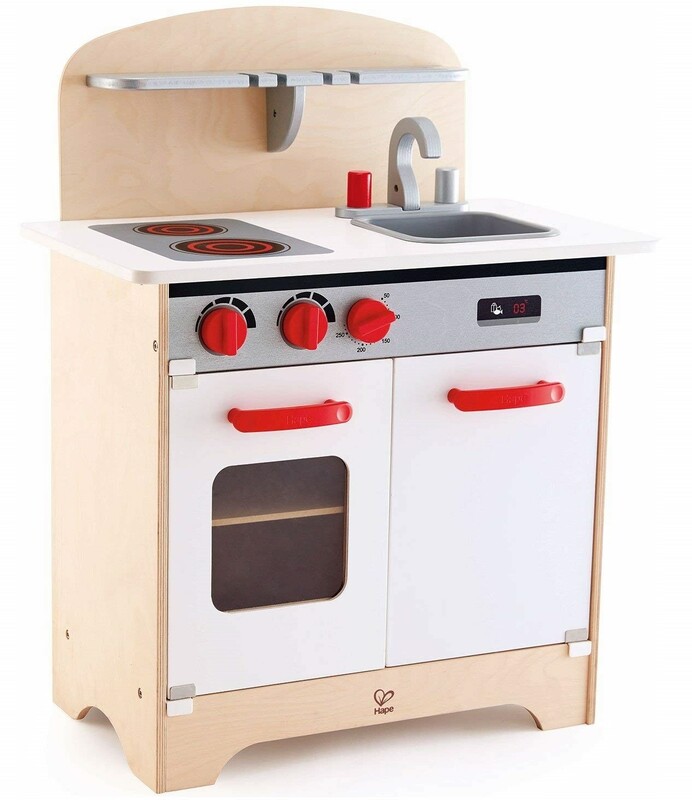 Like all Hape toys, this kitchen is made with sustainably sourced solid wood and non-toxic, child-safe inks.